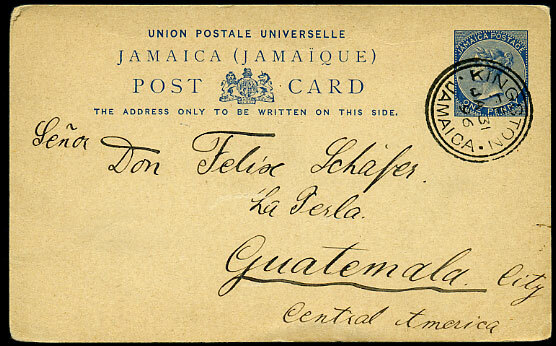 pmkd San Jose DIC 21 1939 b/stamped */5 FE 40 arrival. 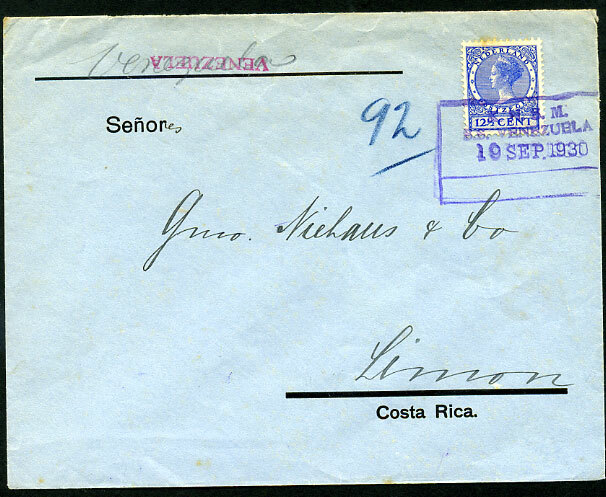 pmkd Kingston JA 31 96, b/stamped on arrival. 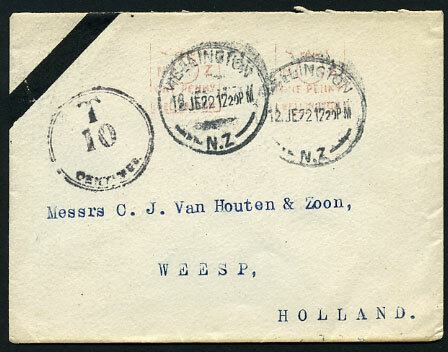 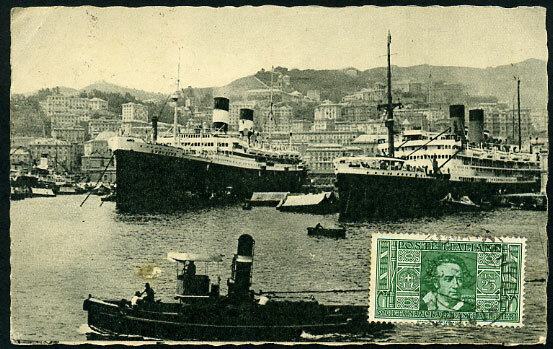 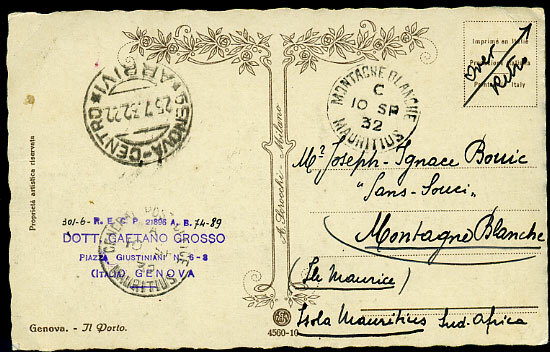 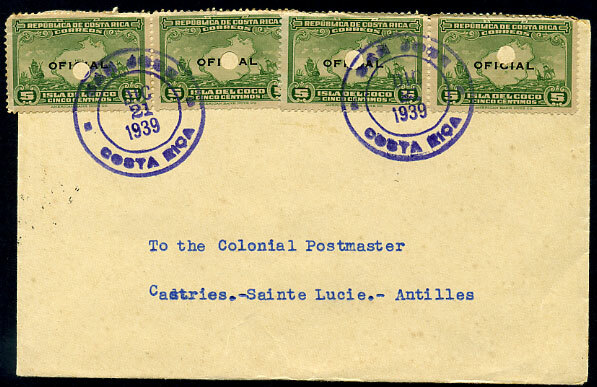 19 SEP 1930 on Nederland 12½c cover to Coasta Rica, minor toning. 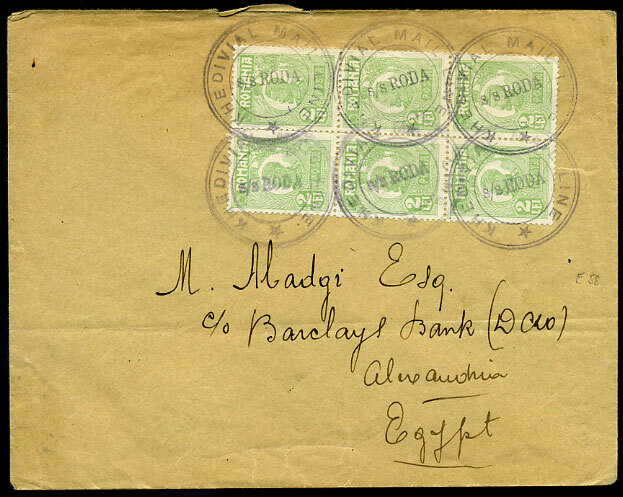 in violet Roumania to Egypt, Alexandria 23 NOV 30 arrival.